The ArcStone team originally sat down with MENTOR MN (formerly the Mentoring Partnership of Minnesota – MPMN) at the beginning of 2016. We reached out because we had just designed and launched the local Big Brothers Big Sisters website and thought there may be a fit. At the time, MPMN was just starting to think about a website redesign; their current platform was simply outdated and wasn’t serving their audience effectively. 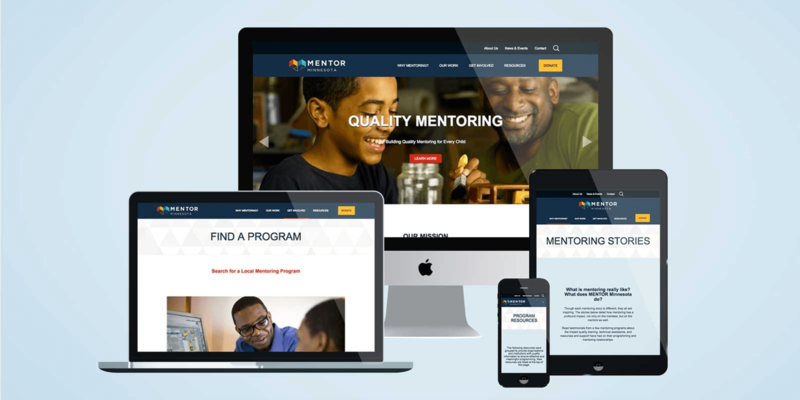 A large component of MENTOR MN is to serve, educate, and share resources with other mentoring organizations, making the website a key component and tool. The old site featured two competing navigations, outdated imagery and branding, plus a website that was not mobile-friendly. However, once more conversations ensued, this project evolved into something much bigger. Early on in the discovery and scoping process, we discussed the possibility that they could potentially share the newly designed WordPress framework with the other affiliates in their network. With MENTOR National launching a new brand for the affiliates to use, we realized that a shared framework would create brand consistency and cut costs greatly for any affiliates looking for a new site. This resulted in getting MENTOR National involved. Several conversations later, we had created packages and a custom WordPress template that could be adapted for multiple organizations—starting with MENTOR MN, of course. MPMN adopted the new MENTOR MN brand successfully and launched a brand-new WordPress website. We then began working with several other affiliates to adopt the new platform as well. Some opted for the do-it-yourself option, in which they could obtain the WordPress files themselves while others choose the consultative package in which ArcStone helped them build out their site. What did this project accomplish? Creating an easy-to-use, solid website architecture is more doable than ever before. Both nonprofits and businesses with multiple websites can leverage an approach such as this in order to create a consistent online experience with less time and money. For us here at ArcStone, this project highlights all of our core values in action—collaboration, service, evolution, happiness and craftsmanship. 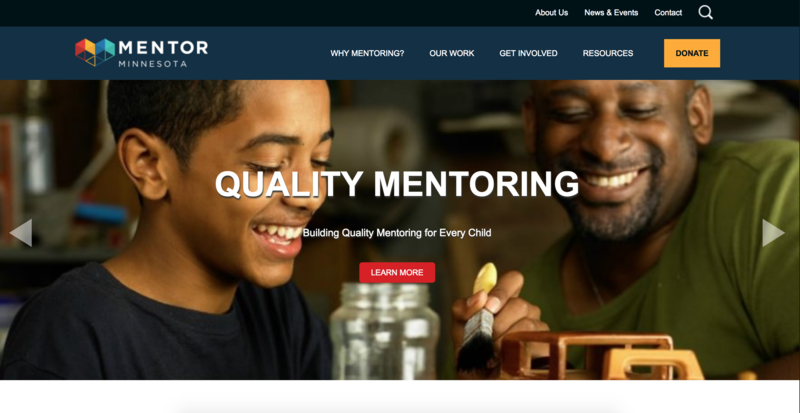 We are proud to partner with and serve organizations such as MENTOR. If your nonprofit or business is interested in a similar project, please contact us today.